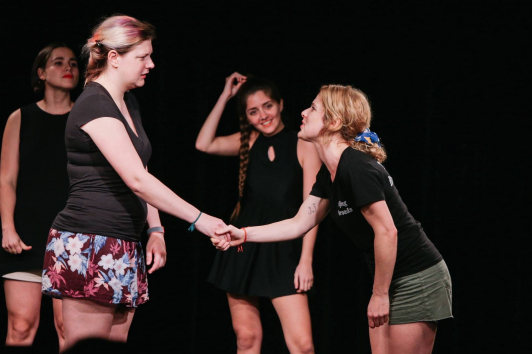 A fun, enriching space for women to try their hand at improvised comedy in a supportive environment. The workshops are open to beginners, experienced performers, and people with dreadful stage-fright, regardless of their age, language level, or any other thing that might make you refrain from joining. Each session will last for an hour and a half where we will focus on a skill that's useful for both performers and non-performers. Since beginners are welcome and encouraged to come, we will brief on the basics of improv and sidecoach on them as needed. If you have any questions, please email Lucila at tolucila@gmail.com. Pay What You Want at the venue.